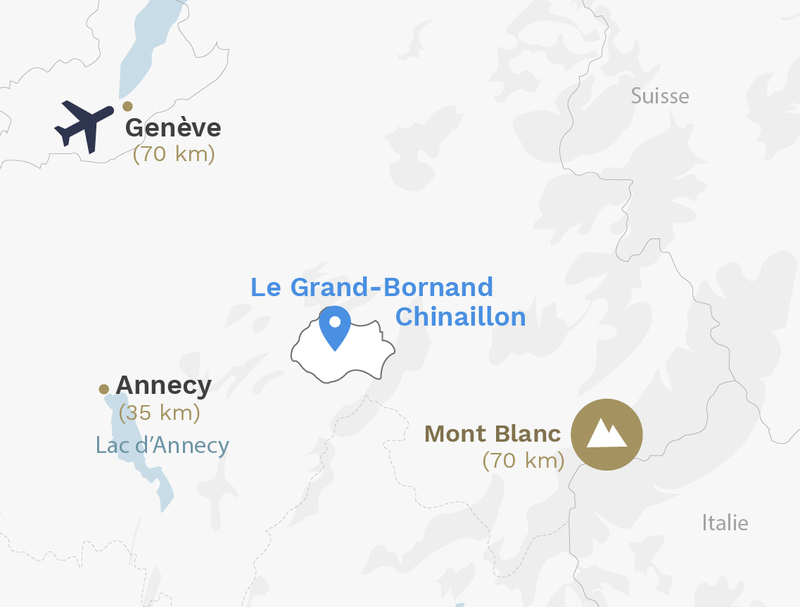 Located in the heart of the Aravis Massif, in the Haute-Savoie, ideally positionned between Mont-Blanc, Lake Annecy and Switzerland, Le Grand-Bornand Chinaillon offers the best the Alps has to offer! Invest in an apartment suite in Le Grand-Bornand Chinaillon, for the best of the Alps! The atmosphere in Le Grand-Bornand is perfect for MGM developments. For several years the resort has attracted a discerning clientele looking for the most stunning places where the environment is breathtaking. Both modern and traditional at the same time, the village resort has managed to keep its identity between agriculture, the environment and the touristic expansion while maintaining its strong heritage. The old village dates back to the 17th century, the architecture is Savoyard with lots of stone & wood on the facades. Own an apartment suite in Le Grand-Bornand Chinaillon and benefit from an enviable position between lake, mountain and town.